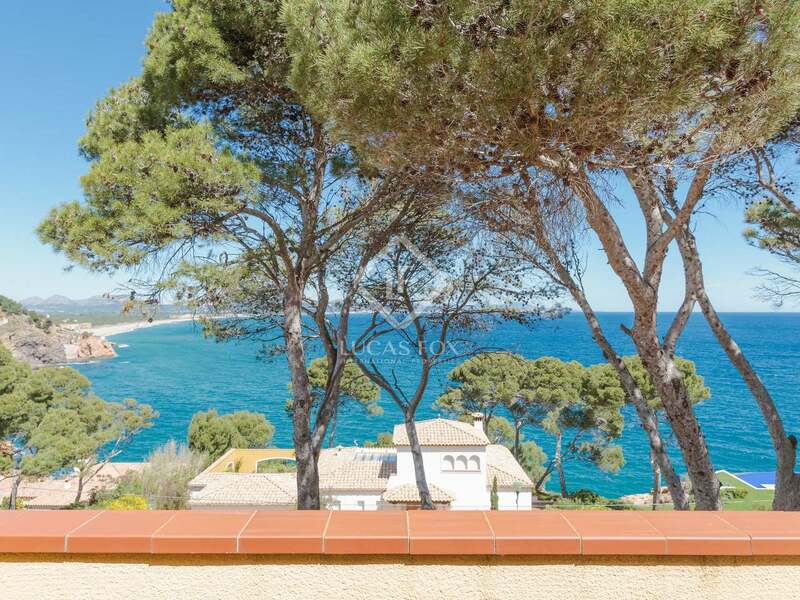 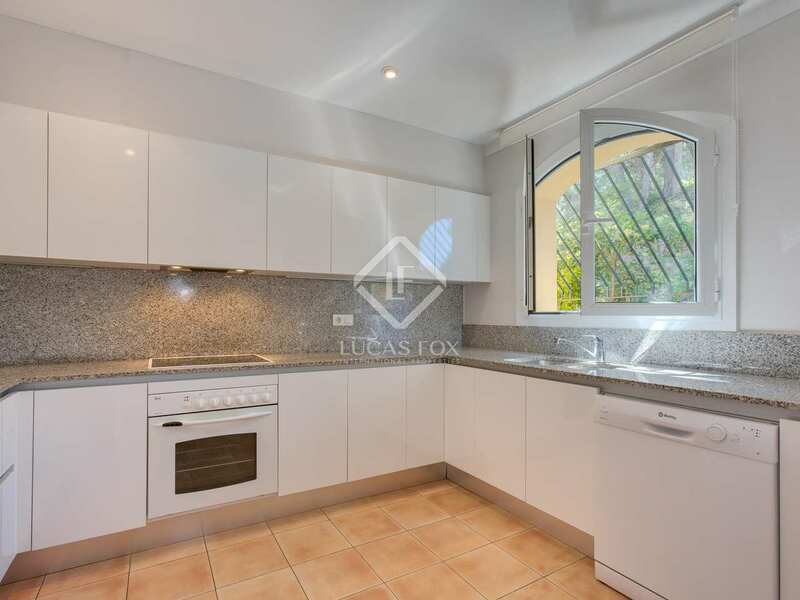 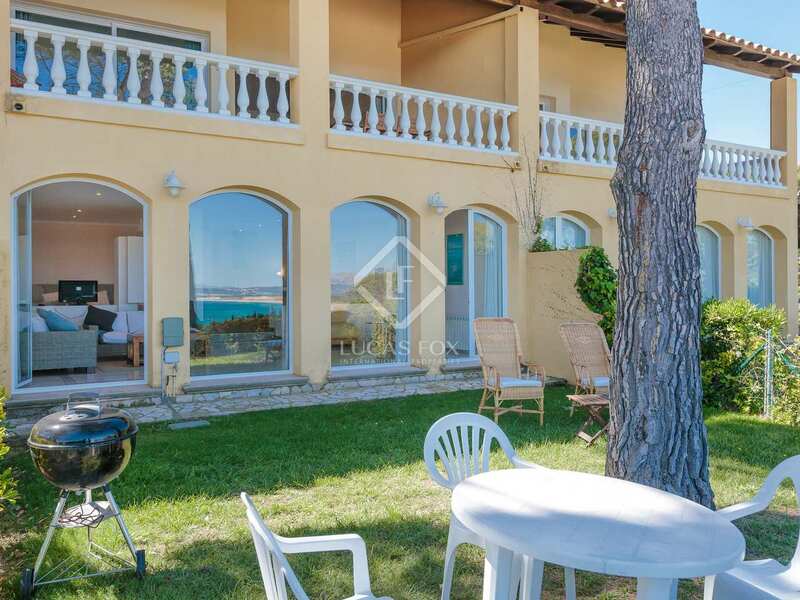 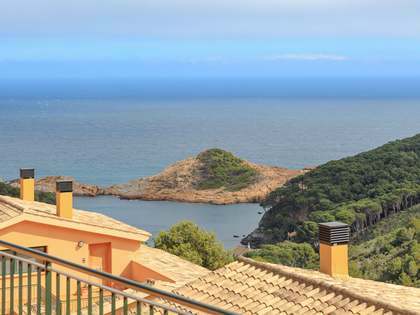 Just minutes on foot from the sandy beach of Sa Riera, we find this charming terraced house for sale with lovely sea views. 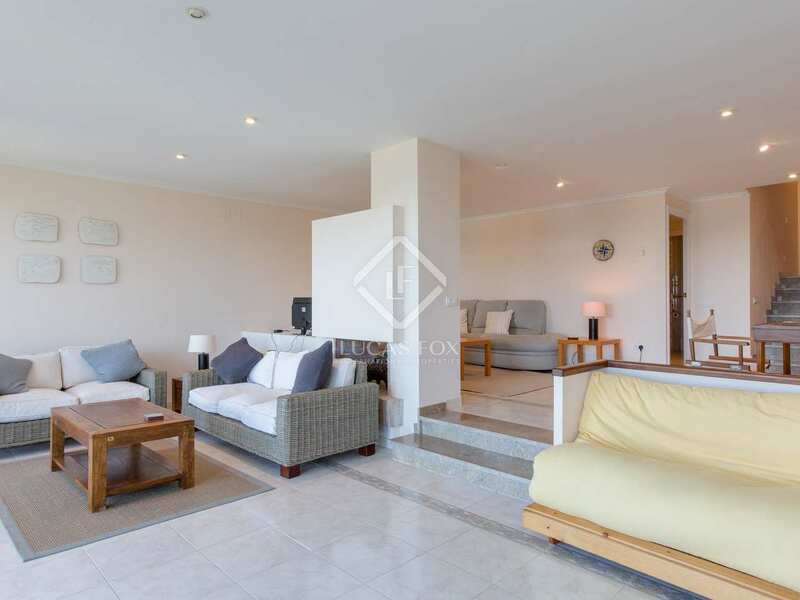 It is situated within a gated complex of 9 houses with a shared garden and pool. 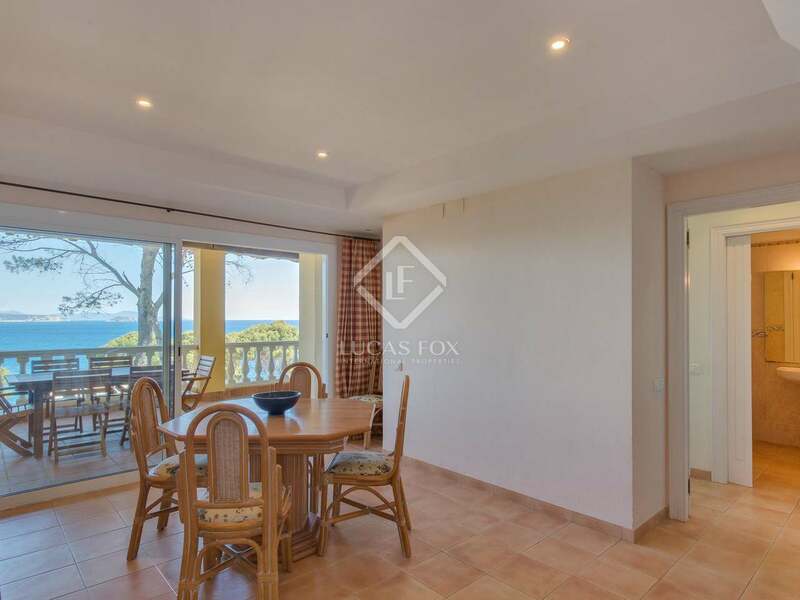 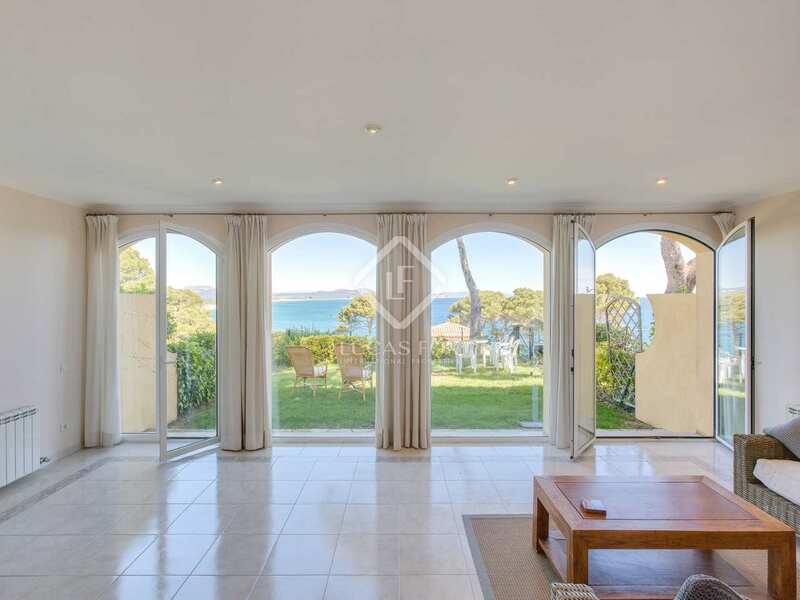 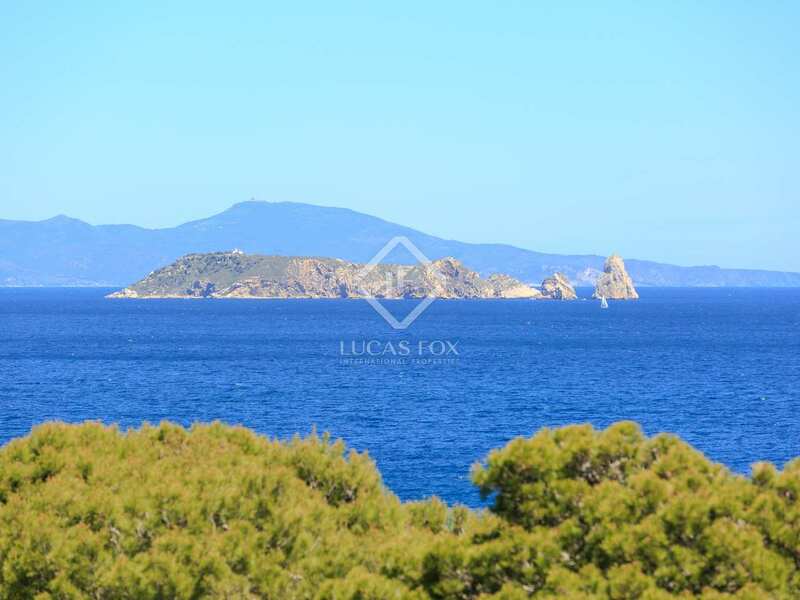 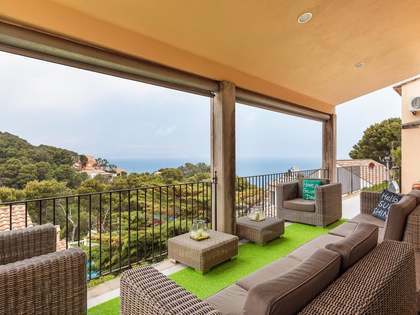 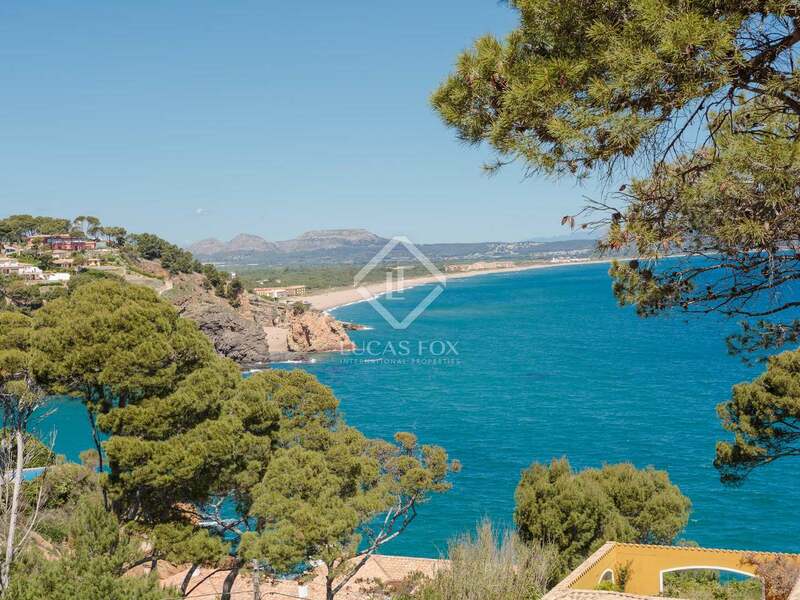 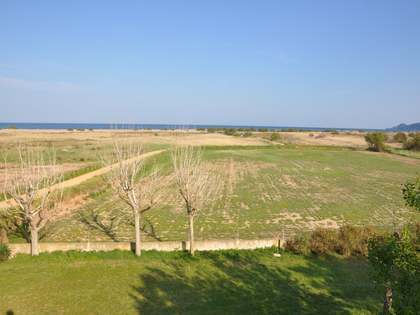 This is an ideal location for enjoying the Costa Brava's best beaches and golf courses. 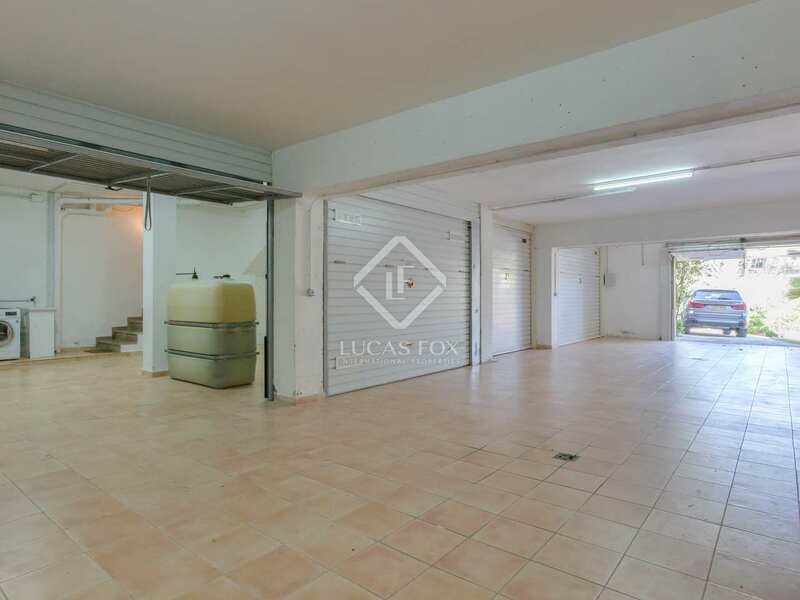 The house is organised over 3 floors plus an underground garage for 2 vehicles and a storage area. 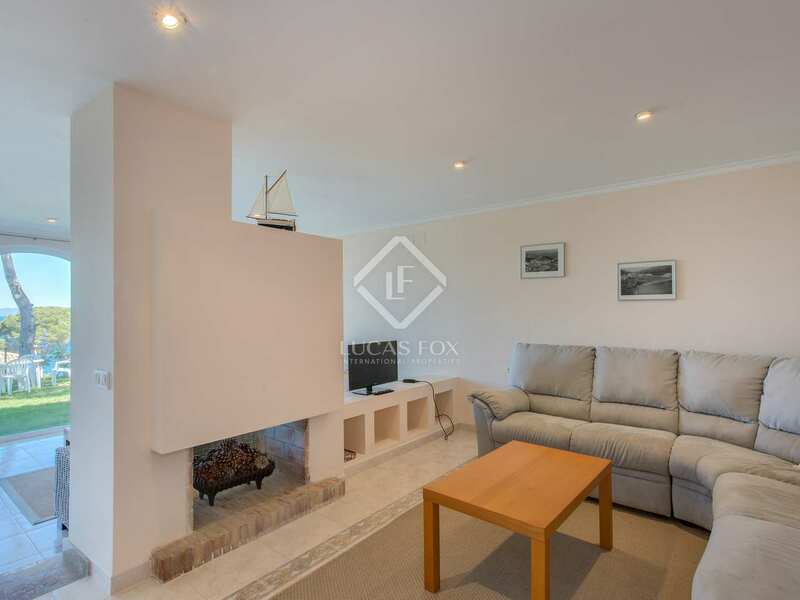 Heating, double glazing and fitted wardrobes are available in all rooms. 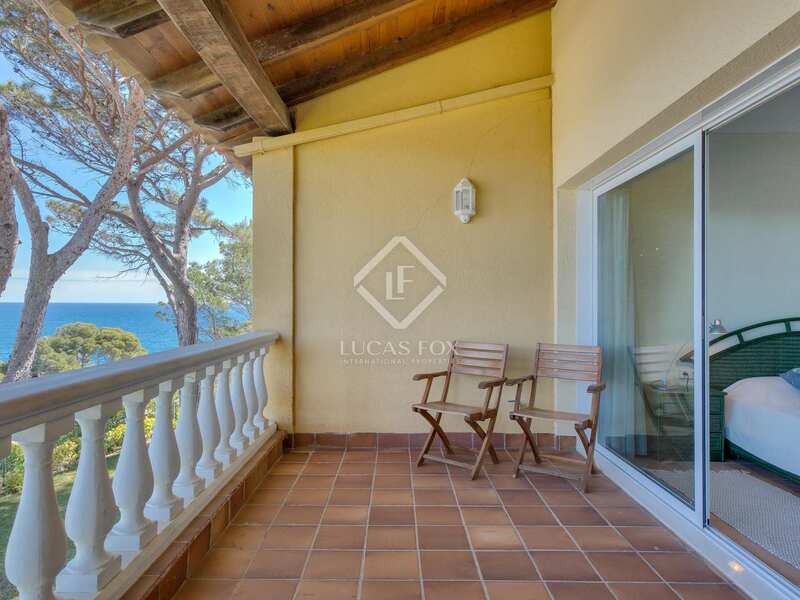 On the ground floor we find a large living-dining room with a fireplace with access to a private garden of 100 m² with spectacular views of the sea and the Mediterranean beaches. 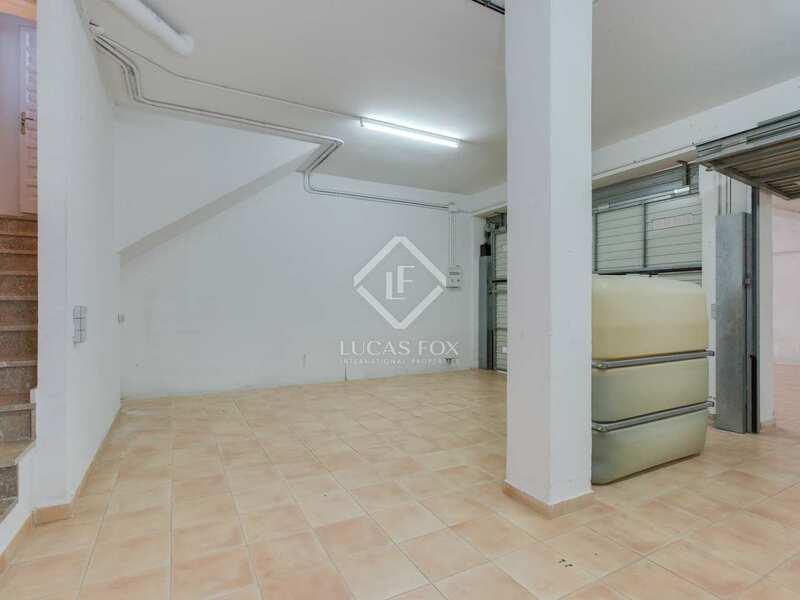 One double bedroom and a bathroom with a shower complete this floor. 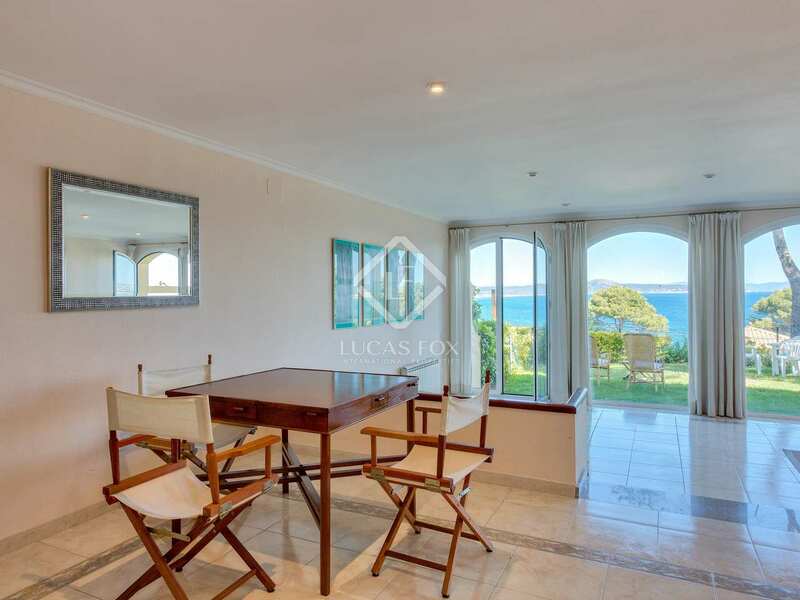 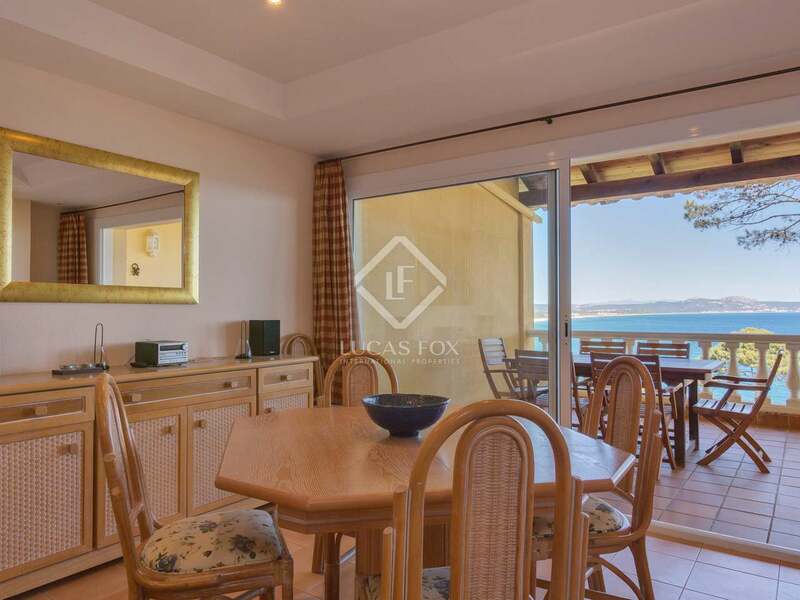 On the second floor we find a living-dining room with access to a large terrace with beautiful views, a fully equipped kitchen that was renovated 3 years ago, 1 bedroom suite with a bath, sea views and access to the same terrace as the living room, and a toilet. 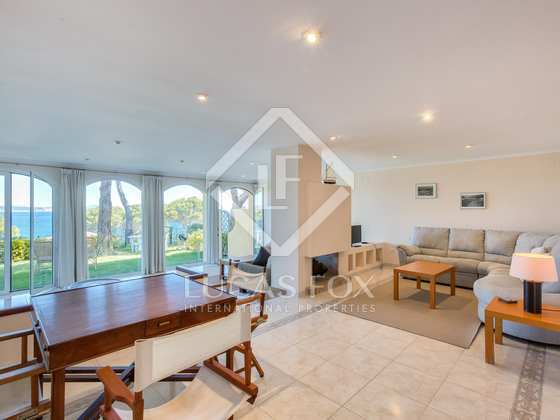 What's more, this floor enjoys direct access to the communal area with a garden and pool. 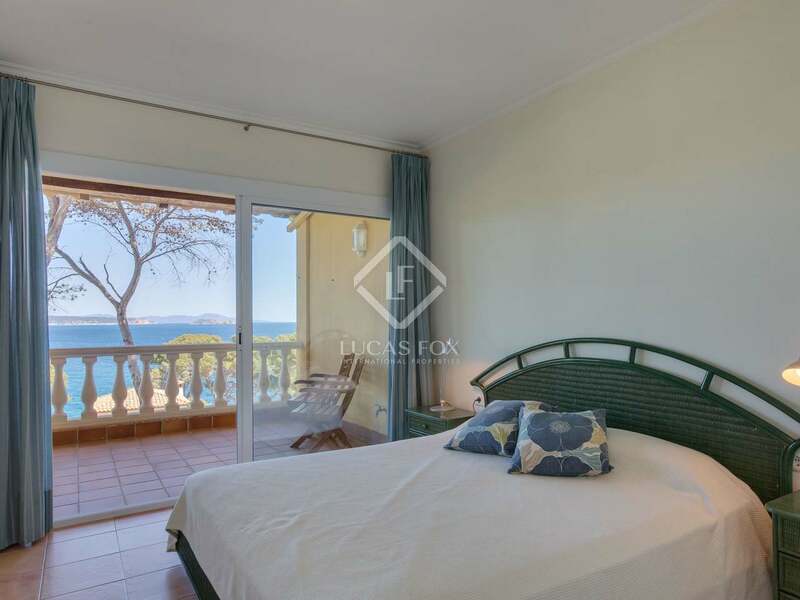 On the third floor there are 2 double bedrooms with access to the same terrace with sea views. 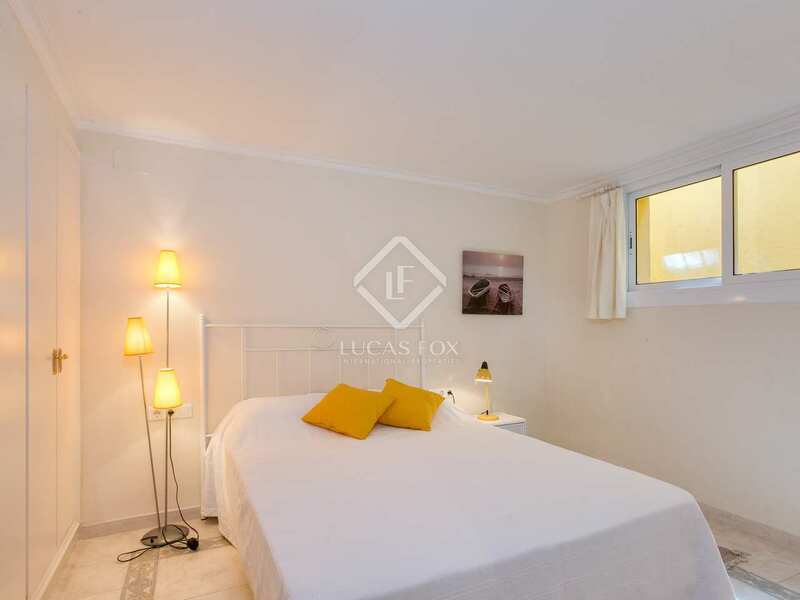 These rooms share 1 bathroom with a bathtub and there is also another interior terrace with views of the communal area. 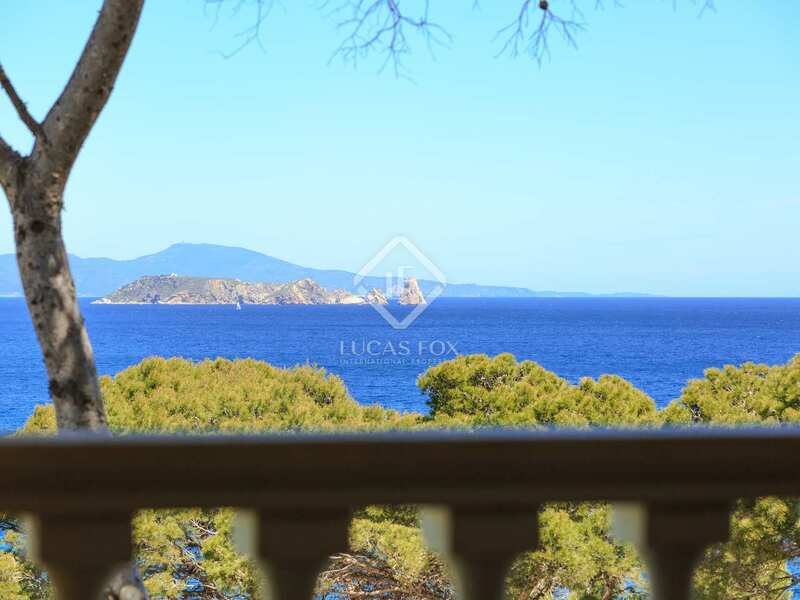 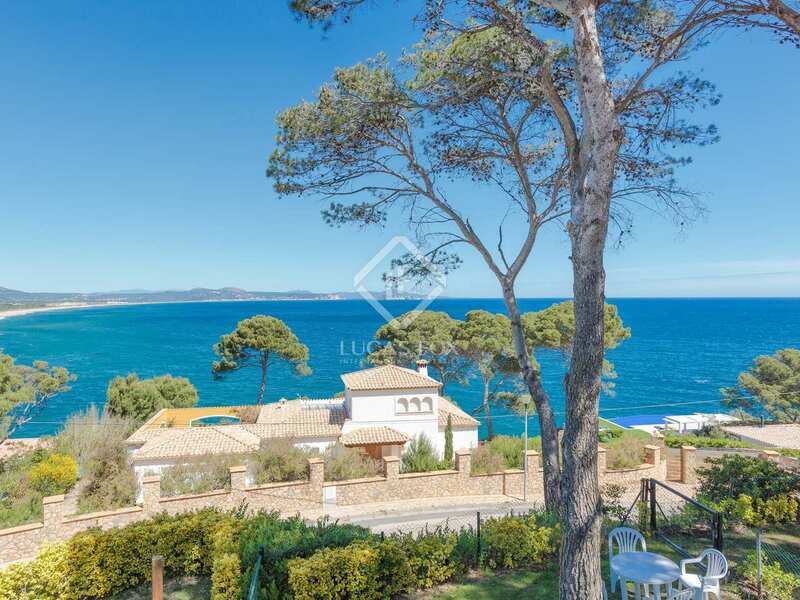 Ideal for families and retirees as a second residence, and also a good option for summer rental as Begur is one of the most coveted areas for holiday rentals, and particularly this type of property with spectacular views of the sea and walking distance from the beach. 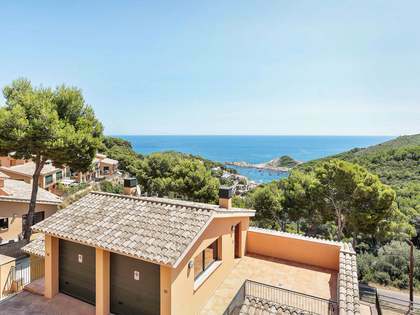 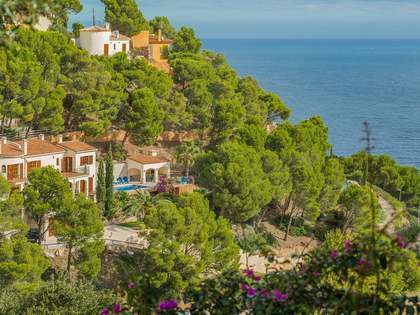 Your Costa Brava home where you can forget about the car and focus on enjoyment. 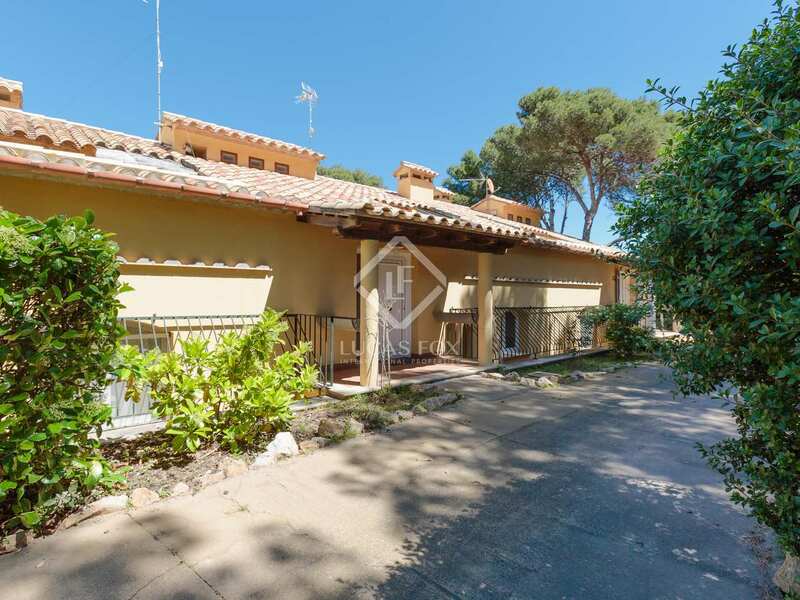 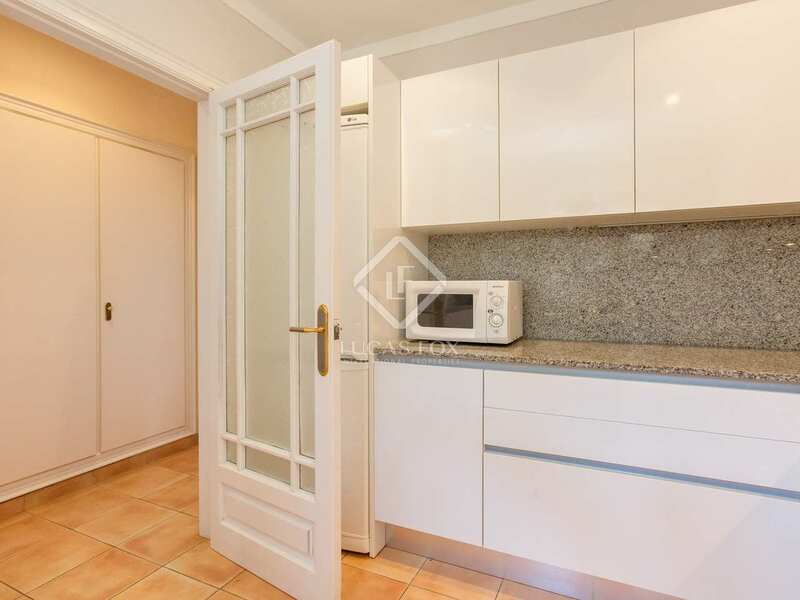 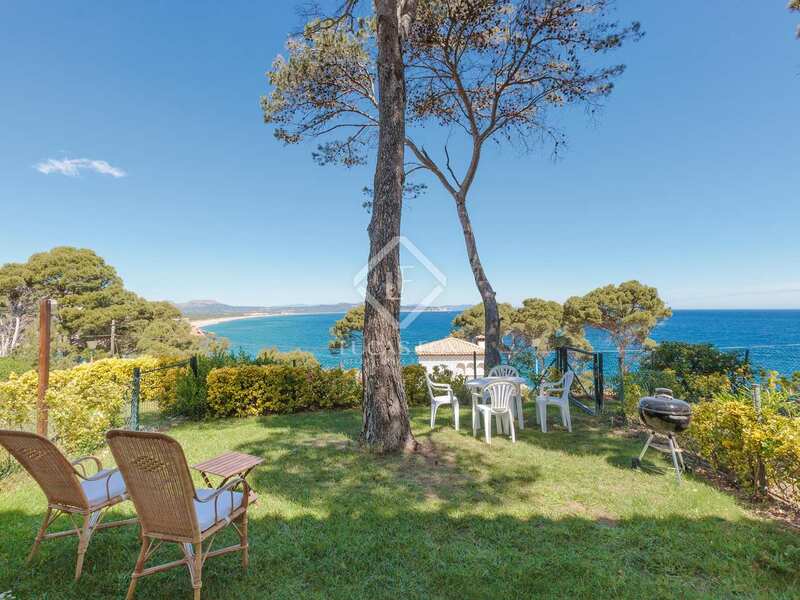 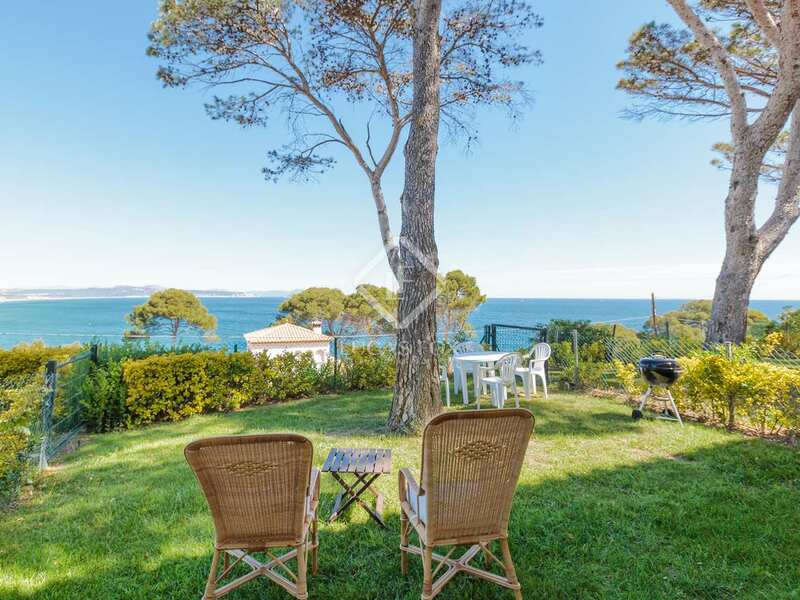 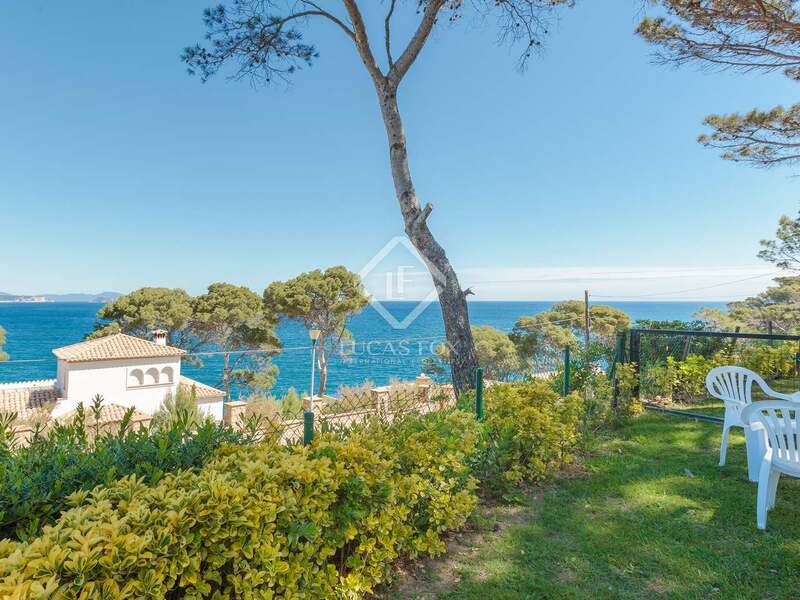 Property located a short walk from the path to the beach of Sa Riera, one of the most beautiful beaches on the Costa Brava, and its promenade where there are several restaurants and small shops. 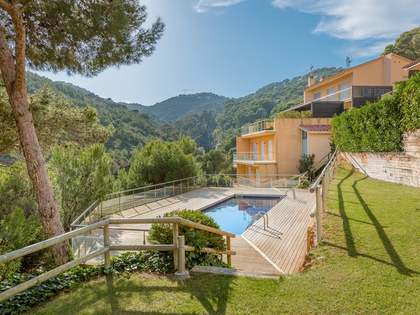 This area also has a supermarket where you can buy daily supplies and it is just 5 minutes by car to the centre of Begur and 15 minutes from several golf courses.